Is this the most important weekend of games so far this season for the Lincoln Stars? This fan says so. The Stars will have a lot on the line when they face off against the Omaha Lancers (twice) and the Waterloo Blackhawks this weekend. On Friday night at the IceBox, the Stars will host the Omaha Lancers. On Saturday, the Stars will travel north on I-80 to face the Omaha Lancers at the Civic Auditorium. 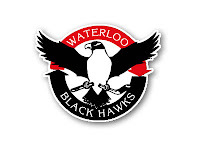 On Sunday afternoon, the Stars will be at Young Arena in Waterloo, Iowa to take on the Blackhawks. The puck will drop at 7:05pm for both games against the Lancers, and at 3:05pm Sunday in Waterloo. The Stars currently sport a record of 33-16-4 (70 points) and are in second place in the USHL Western Conference. Lincoln is only one point behind the first place Omaha Lancers (34-18-3, 71 points) with two games in hand.. Although the Lancers are in first place for now, the Stars (.660) have a better winning percentage than Omaha (.645). Click here to see the current USHL standings. The two games coming up will be the seventh and eighth time the Stars and Lancers will face one another in the 2011-12 regular season. Unless they meet again in the playoffs, this could be the last time Omaha and Lincoln knock heads until next fall. Unfortunately for the Stars, they haven't fared well against the Lancers this season. Lincoln is 1-4-1 in six games against Omaha this season, and have been outscored 27-15 in those six contests. The last time they met, the Lancers beat the Stars (in Omaha) by a score of 5-4 in overtime (shootout). In that particular game, Stars forward Teemu Tiitinen was on the receiving end of a hit from behind by Lancers forward Ken Babkinski. Teemu suffered facial fractures after Bibinski rode Tiitinen hard into the boards, face first. Babinski was suspended six games by the USHL for his hit from behind. Teemu is healed up and back in the lineup (wearing the fishbowl), and I'm sure the Stars haven't forgotten Babinski's number. 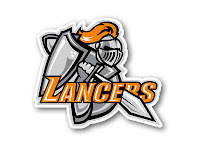 Since their last meeting on 2/10/12, the Stars have a 11-3-1 record while the Lancers have a 9-6-0 record. Omaha has been in first place in the west for most of the season, but the Stars have been nipping at their heels, especially of late. I'm not sure how much better it gets than Lincoln vs. Omaha for first place in the USHL Western Conference. Although both teams still have a number of games left, the two tilts this weekend between the Stars and Lancers could very well determine who finishes first in the west. 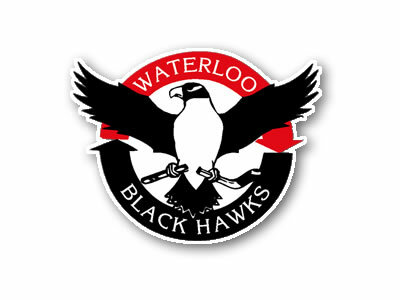 On Sunday, the Stars will play a rare Sunday afternoon contest against the Waterloo Blackhawks (29-18-6, 64 points, third place in the USHL Western Conference). This will be the fourth and final time these two teams face each other this season. The Stars hold a 2-1-0 record in the three previous games against the Blackhawks. Each contest has been decided by one goal and two of the three games were decided in overtime. Originally, this game was to be played back on Saturday, February 4th in Waterloo. However, a winter storm dumped about a foot of snow in eastern Nebraska that day, so the USHL cancelled the game due to unsafe travel conditions. It was later rescheduled for Sunday, April 1st at 3:05pm. The bad news this week for Lincoln was that the USHL suspended Stars forward Brent Tate for five games due to the "head contact" major and misconduct he picked up against the Sioux City Musketeers last Saturday night at the IceBox. Tate will be able to come back and play the last two regular season games (both against Fargo) before the playoffs begin. Losing Tate, especially against Omaha, is huge. I know a lot of our fans probably won't agree with me, but I think the suspension was warranted. Tate has to find a way to play smarter, but keep that edge. The team needs their captain on the ice, not in street clothes watching from the stands. Well, I'm running out of time (and babbling) so I'm going to wrap this up. Like I mentioned above, the game tomorrow night at the IceBox is a sellout, so the atmosphere should be rowdy and loud. From the sounds of it, a ton of Stars fans will be making the trek to Omaha on Saturday night to invade the Civic Auditorium. Let's do this, Lincoln! Six points up for grabs. Start strong, finish stronger!